KIEV, Ukraine -- Perhaps the biggest mistake the recently arrested leaders of the Anonymous spinoff hacker group LulzSec made was operating in the U.S. and European countries instead of Ukraine. There, they might have remained beyond the reach of the law indefinitely. The Kyiv Post last week reported that in spite of the high-profile arrests of five alleged hacker "kingpins" in October 2010, "Ukraine's would-be major crackdown on cybercrime is increasingly looking like (a) real bust." The result is the country becoming, "a haven for hackers," in the view of analysts, including some Ukraine security officials. The five, who allegedly used Conficker, a fast-spreading worm unleashed in 2008, to steal more than $72 million from U.S. bank accounts, faced up to six years in prison. But within months of the arrests, they were all released and remain free as an investigation reportedly continues. Valentyn Petrov, an information security official at the Security Service of Ukraine, known by the acronym SBU, acknowledged to the Post that, "Ukrainian hackers are well-known in the world. Our country is a potential source of cyber threats to other countries." 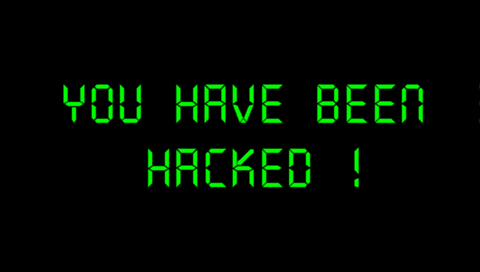 The official explanation for the freedom enjoyed by hackers is a lack of modern legislation covering cybercrime, along with a lack of authority for law enforcement. But experts say the problem is deeper and much more menacing. Brian Krebs, a former Washington Post reporter and author of the blog KrebsonSecurity.com, told the Post that he knows of many people in Ukraine who want to, "put cyber criminals behind bars and clean up Ukraine's image as a cybercrime heaven." "However, if this is not combined with a competent and responsible legislative system, the rest does not matter." Taras Kuzio, editor of Ukraine Analyst, goes beyond that. In a March 1 blog post, he quotes extensively from a 2011 book by former Guardian Moscow correspondent Luke Harding titled, "Mafia State: How one reporter became an enemy of the brutal new Russia." The book discusses 10 criteria that make Russia a "virtual mafia state," and Kuzio says those criteria apply to Ukraine as well. Kuzio, an Austrian Marshall Plan Foundation Visiting Fellow at the Center for Transatlantic Relations, School of Advanced International Studies, John Hopkins University, was reached through the Information Security Community on LinkedIn. He and others say corruption throughout that region of the world means, "ruling elites are unaccountable and have no remorse for crimes they have committed. "Russian and Ukrainian kleptocracy merge organized crime, corruption and the state in a closely bound nexus," Kuzio writes. "Organized crime has close ties to senior leaders of both countries." Kuzio notes that Yuriy Lutsenko, former Interior Minister in two governments led by Yulia Tymoshenko, was recently sentenced to four years imprisonment and banned from public office for three years. That prevents him from participating in the 2015 presidential elections, in which Viktor Yanukovych will seek a second term. "Lutsenko, the scourge of the nexus of Yanukovych, the Party of Regions, and organized crime, was jailed by the 'virtual mafia state' he sought to dismantle as Interior Minister," Kuzio writes. In an email, Kuzio said there is essentially no rule of law in Ukraine. The result, he said, "will be a massive number of illegal actions in copyright infringements, intellectual piracy, plagiarism, etc." Beyond that, when government does make a move against cybercrime, it cannot always sustain it. In February, Ukrainian police shut down the popular file-sharing service EX.ua, alleging that the site was involved in online piracy. The interior ministry searched EX.ua offices and seized about 200 servers containing more than 6,000 terabytes of data. But Ukrainian internet users reacted with outrage, launching a series of hacker attacks on the government. The attacks reportedly involved about 500 IT professionals and hundreds of thousands of ordinary users. Days later, the police lifted the blocking order, although they said the investigation was continuing. Krebs says in this arena, law enforcement is outgunned. "When you look at the sophistication of the hacker community vs. the police, it's kind of a stark difference," he says. "It's always a cat-and-mouse game, but these guys take it to another level -- they are some of the best out there." Another expert with family in the region who did not want to be identified said poverty is a factor in what's taking place. "It is not an excuse," he says, "but without a moral compass, everything becomes a game of what you can get away with, especially when you always have the option of buying off an official to make something illegal go away." He adds that he believes Ukraine, "needs is to be cut off from the paranoia of the Russian sphere in order to develop independently as a nation." Some have suggested that economic investment in the country would be more effective than pressure for more enforcement, since conditions now mean that talented programmers don't have many options in lawful occupations.